Jeffrey Gitomer, the sales guru and author of the bestselling The Sales Bible, has produced another advicebook that addresses sales with a lively combination of humor and professionalism to help salespeople get their feet in many more doors. For those who are running into dead ends, stale leads, price objections, and unreturned phone calls, Gitomer has created The Little Red Book of Selling to show them how to get past the usual obstacles and sell their products and services with new zest and vigor. 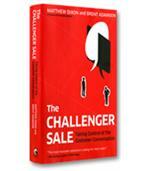 The Little Red Book of Selling offers the answers to just about every sales question a salesperson could ask. Jeffrey Gitomer, the sales guru and author of the bestselling The Sales Bible, has produced another gem of a book that addresses sales with a lively combination of humor and professionalism to help salespeople get their feet in many more doors. For those who are running into dead ends, stale leads, price objections, and unreturned phone calls, Gitomer has created The Little Red Book of Selling to show them how to get past the usual obstacles and sell their products and services with new zest and vigor. Filled with more than a dozen principles of sales greatness, as well as numerous lists and attack plans for dealing with difficult customers, The Little Red Book of Selling offers the answers to just about every sales question a salesperson could ask, and provides the firsthand experiences and positive enthusiasm to drive them home with vitality and optimism. Red is the color of passion. Passion is the fulcrum point of selling. No passion, no sales. Red is the color of love. If you don't love what you sell, go sell something else. Red is the brightest color. You must be bright in order to convert selling to buying. Red is the most visible color. You must be visible to your customers with a value message, not just a sales pitch. Red is fire. If you're not on fire, you'll lose to someone who is. Overflowing with Gitomer's rapid pace and quick wit, The Little Red Book of Selling contains more than 18 ways to become a sales success, 20 ways to beat a sales slump, 8.5 resources to tap in a pinch, 14 ways to create a personal brand, and a plethora of other handy tabulations that can help any salesperson quickly get to the root of his or her problems. Thumb tabs on the sides of the book's pages and a ribbon page marker make the book a convenient reference guide to handling sales dilemmas, giving value, using creativity and humor, and reducing a customer's risk. Clever cartoons and page design make The Little Red Book of Selling's contents come alive with bold directives and professional advice. The emotional edge to Gitomer's work is appropriate for his subject matter due to the important role emotion plays in the sales process. 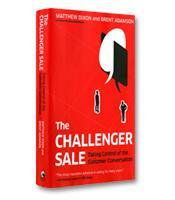 According to Gitomer, "The sale is emotionally driven and emotionally decided. Then it is justified logically." Using colorful language to go along with his punchy lessons, Gitomer minces no words when telling salespeople what they should do to improve their sales numbers. Networking works well when you employ the two-word secret: Show up. Networking works best when you employ the three-word secret: Show up prepared. Gitomer's direct style drives his points home in easy-to-understand quips and quotes that are formatted for maximum retention. Many pages throughout The Little Red Book of Selling offer a cartoon figure that provides a missed point (he calls them "Red Whines") and a solid counterpoint (a "Red Selling Response") that simply state basic principles that can be used along the sales cycle. For example, when discussing decision makers, the Red Whine reads, "The guy said he had to talk it over with ..." and the Red Selling Response is "Decision makers don't need to talk it over with anyone." Gitomer's sharp sense of humor and professional approach turn The Little Red Book of Selling into a unique and strategy-filled playbook that offers thousands of time-tested sales resources and techniques. Gitomer's wild style and straight talk make The Little Red Book of Selling a fast read and an inspirational motivator for salespeople who need a powerful spark to ignite their passion for selling. By offering a positive perspective and many years of experience in an easy-to-reference volume, Gitomer puts the fun in the fundamentals of selling.